"this is my home, my roots, my duty is to serve the people of hawaii." "For the last few years, I have watched small businesses and individuals alike, suffer from the lack of ability to proclaim their needs. I have witnessed and taken part in the struggles that people of Hawaii go through on a daily basis, including the continuous increase in living costs, the unbalanced delegation of funding, as well as the lack of unity and understanding between the people of Hawaii. Let's continue the legacy of Senator Akaka and Senator Inouye, let us regain a voice for Hawaii, while showing its Aloha." "having a family, having children, changes you. it really makes you see what you value." Makani Christensen (whose full name is Paul Edward Kamakani Kehaukalehua o Maui) was born in January of 1980 on Maui. Raised for many years by a single mother of three, Makani understands many of the hardships Hawaii families struggle through. His mother, Belinda Long (a granddaughter to the Wedemeyer and Kaono families) and two younger sisters moved to Hilo, Big Island when he was five years old. Makani's mother later remarried and Makani enjoys a close relationship with his stepfather, Kenneth Chang Jr and the Chang family. Makani's childhood in Panaewa on the Big Island instilled his love of fishing, surfing, cooking and team sports. Born into a large part-Hawaiian family, he is grateful for all they taught him of the land, sea and spirituality. His notable family memories include digging the imu ovens, learning lua (the Hawaiian form of martial arts) and hearing stories of their genealogy. His summers were spent raising pigs and chickens on his Uncle's farm. Though faced with many struggles in his youth, Makani strived for better opportunities. He attended public schools in Hilo, then transferred from Waiakea High School to board at Kamehameha Secondary School at the Kapalama Campus in Oahu. There he completed grades 10th -12th and excelled in swimming, becoming Swim Team Captain and WaterPolo Captain. Today, Makani lives in Manoa, on the island of Oahu, with his family. His wife, Sarah Naomi Cooper, born to a school teacher, Karen (Komo) Cooper, and Martin Cooper, an architect, goes by her middle name, Naomi. Granddaughter of Judge Richard Komo and school teacher, Yuki Komo (Kamitaki), she was raised in upcountry, Maui, before moving to Oahu to attend Hawaii Pacific University, where she graduated with a BSBA in Corporate Communication. She has been a professional model and actress for over 16 years. Naomi and Makani met in 2011 through the triathlon community, when Makani was training for an Ironman Competition. They are very involved in each other's lives, sharing interests in social gatherings, cooking, the arts, ocean leisure, music and creative writing. Their children are their greatest joy - a daughter age 3, and a son, one year old. "I chose to join the marines because if i'm going to fight for our country, i'm going to fight with everything i've got." Paul Makani Christensen served as a Captain in the United States Marine Corps during his service from 2003 - 2008, earning multiple medals including the Combat Action Ribbon, for performance under enemy fire in combat. His war experience in both Afghanistan (May 2004 - Jan 2005) and Iraq (Oct 2006 - May 2007) exemplified his leadership skills, logistical thinking, strategic management, compassion and loyalty to his country, home, and shipmates. His role as a Supply Officer in 2004 successfully charged the deployment of the very first Marine unit from Hawaii to Afghanistan. His success of increased stability and governance in Iraq earned him the Joint Service Commendation Medal while serving as a Liaison Officer in the Strategic Effects Division. Makani during his tour in Afghanistan as a 1st Lt. in 2004. Makani was fortunate to have been recommended by U.S. Senator Daniel Akaka for the United States Naval Academy. He was accepted by the prestigious U.S. Naval Academy, and his years of rigorous officer training and dedication to honors of truth, fairness, and respect, shaped his values for all areas of life, both professional and personal. First, completing the Naval Academy's Preparatory School in Newport, Rhode Island in the top 10% of his class, he continued in Annapolis, Maryland. Makani graduated from the U.S. Naval Academy in 2003 with a Bachelor of Science in Oceanography. Makani with his company mates at the Naval Academy, Maryland. Makani with his Mother during a visit home from his sophomore year at the Naval Academy, paying respects to Kamehameha Schools in Oahu, 2001. "i want to enjoy hawaii, while sharing our beauty and our aloha with the world. when we apply HArDWORK and integrity, the sky is the limit." After an honorable discharge from his service and combat tours, Makani renewed his love of Hawaii and his passion, the sea. With a new perspective on life, Makani followed his heart, determined to make a living in the islands, while sharing the islands' beauty and Hawaiian culture with others. Starting on the streets of Waikiki handing out brochures, he soon opened the company, Keawe Adventures, a private-tour-guide service specializing in fishing, surfing, and cultural tours. From a one-man-show in 2008, Keawe Adventures now employs seven tour guides year-round, providing high-end tours on each of Hawaii's four major islands. Keawe Adventures has served celebrities, international royalty, CEOs, visiting families from the mainland and elsewhere, and even kamaaina looking to learn a fishing trick or two. In addition to his tour business, Makani has been sought out for advice, project supervision, and collaborations from multiple companies and individuals alike. He has provided expertise as a professional fisherman, and has conducted scientific fish studies. He has educated and advised state legislators on matters pertaining to sustainability, the environment, and farming, fishing, and hunting for a number of years. He has been guest speaker for the Chamber of Commerce regarding hunting, farming, and fishing, and has spoken at our local universities and public schools regarding starting a small business. His charisma has even secured him numerous commercial spots in advertising for prominent Hawaii businesses. His ability to negotiate and secure contracts is due to his value in relationships, and his attentiveness to people and their needs. "When you've seen what i've seen, you appreciate where we are from. hawaii is my home, where i was born and raised. i want to see it thrive." Also known as HFFA, Makani started this non-profit in the Spring of 2015. As noted at www.hffahawaii.com, its mission is: "To protect and promote the freedom of hunting, farming, and fishing in Hawaii, through education, collaboration, and advocacy." Concerned with the growing strain on those providing agriculture of both land and sea, Makani addressed the lack of protection for this industry by giving them a support system, connecting them together across all islands, in shared search for solutions. HFFA recently participated in the Democratic Party of Hawaii's 2016 Biennial Convention held at the Sheraton Waikiki. HFFA hosted a suite, as well as a booth, in hopes of bringing awareness to the public of Hawaii's many different food providers, their needs to survive as providers, and their methods to cope. On Jan. 14, 2016, twelve Marines went missing in the devastating crash of two U.S. Marine helicopters during their night training. As the crash occurred on Oahu's rugged coastline of the North Shore, the bodies and any pertaining evidence were lost. After a week of officials searching without success, officials declared the missing dead, despite the hopes of family and community members. Makani, understanding the need for closure, organized a community search party within 3 days. On January 23rd, over 300 volunteers joined in the efforts to find any remains of the crash and gave respects at the blessing performed. More can be found on the project's FaceBook Page. "Being a former Marine, I have a duty to serve my country and protect my fellow men. No man left behind...that could have been me. I wouldn't want my family to suffer wondering what happened to me." HCAP was one of the first major community non-profits that Makani embraced to volunteer his time and efforts. As defined on their website, www.hcapweb.org, HCAP provides a variety of programs to "alleviate the social, emotional and economic stress so often associated with poverty." Makani, knowing the financial struggles and hardships from his own childhood, admired the impact that HCAP carries, especially for its ability to uplift disadvantaged youth. 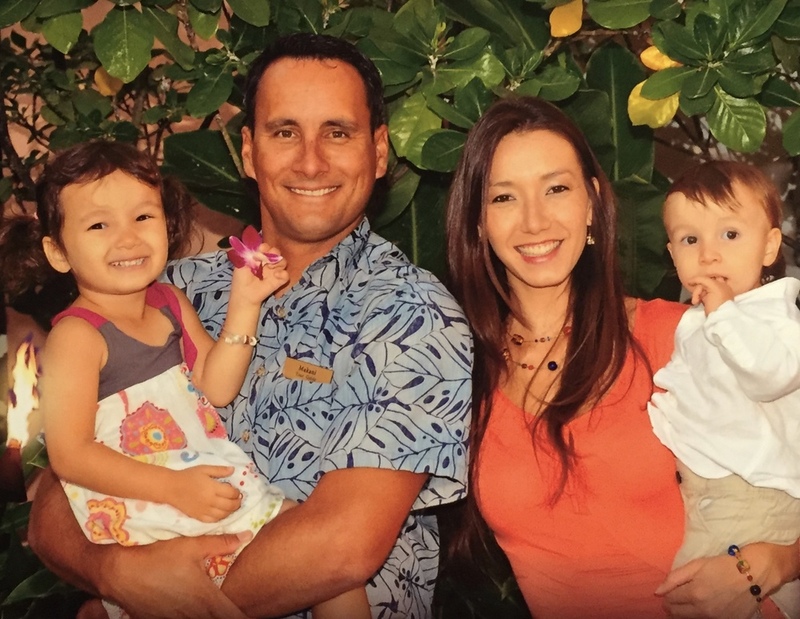 In 2012, he raised over $10,000 in funding for HCAP and sponsored some of their events such as the Head Start Keiki Fun Run which drew in over 2000 children, parents and teachers. "I saw so much of myself in them, these kids. Starting with setbacks so young and without external support, it can seem hopeless. We need to give them direction, willpower and hope. HCAP brings them hope." The Aha Moku is an advisory committee serving the Department of Land and Natural Resources. Asked to join this committee, Makani serves as the Oahu Chair for the Moku o Oahu, Moku O Kakuhihewa. Makani, along with the rest of the Aha Moku Council, provides sensitive consideration to the traditional Hawaiian system of the land and ocean resource concept of `ahupua`a. More can be found at www.ahamoku.org. "I wanted to help the Hawaiian people come together and hear each other instead of divide each other. I hope for all of Hawaii to have a voice. That's why I said yes."